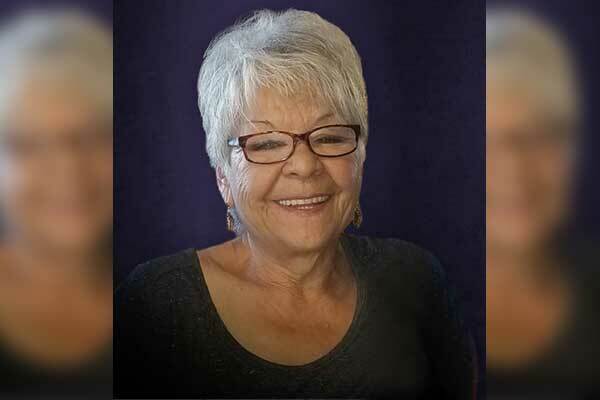 Ernestine Mendoza, of Safford, entered into eternal rest early Saturday morning, March 30, 2019, at the Mount Graham Regional Medical Center, with her husband, Ray, and family surrounding her. She was 70. Ernestine was a caring and loving mother, wife, grandmother and friend. She greeted everyone with a warm, loving smile. She enjoyed crocheting, cooking, spending time with loved ones and especially watching her Diamondbacks! She also pitched for “The Warriors,” during her fast pitch ball years. She was known for her kindness and efforts of caring for the ones she loved. She will be greatly missed by those she leaves behind but has been reunited with those who wait for her at the gates of Heaven. Ernestine is preceded in death by: her parents, Ernesto and Maria Cisneros, of Clifton; her daughter, Angela (Gilbert), of Safford; and grandson, Nico Cisneros, of Safford. She is survived by: her brother, Robert (Norma) Cisneros, of Phoenix; her sister, Irma (Brian) Woerner, of Maryland; her husband, Ray Mendoza, of Safford; her children, Robert Cisneros, of Safford, Melissa Cisneros, of Safford, and Oscar Cisneros, of Safford; her grandchildren, Tasia, Keshia, Xavier, Shanae, Dakota, Anthony, Mariah and Kelly; and many great-grandchildren.